Severe droughts made more likely by global warming worsened conflict in Arab Spring countries early this decade, forcing people to flee, researchers said on Wednesday, publishing evidence they said proved the connection for the first time, reports Reuters. The study used data from asylum applications in 157 countries from 2006-2015, together with an index that measures droughts, as well as figures tracking battle-related deaths, to assess the links between climate change, conflict, and migration. The findings, published in the journal Global Environmental Change, showed a particular correlation between climate stresses and conflict in parts of the Middle East and North Africa from 2010–2012 when many countries were undergoing a political transformation during the Arab Spring uprisings. Those countries included Tunisia, Libya, Yemen, and Syria, which is still mired in a bloody civil war. The researchers said they also established a climatic link with conflicts that triggered migration in sub-Saharan Africa over the same three years – but not during other time periods. “Climate change will not cause conflict and subsequent asylum-seeking flows everywhere,” said Jesus Crespo Cuaresma of the International Institute for Applied Systems Analysis and the Vienna University of Economics and Business. But in a context of poor governance and a medium level of democracy, severe climate conditions can create conflict over scarce resources. The research chimes with other analyses of the war in Syria, highlighting record drought conditions that pushed rural farming families into urban centres. Interpretations differ of how the internal movement of people fuelled political unrest, but the new data did not explore that, focusing on migration across borders. Co-author Raya Muttarak, a lecturer at the University of East Anglia’s School of International Development, said the study found that drought increased flows of asylum seekers by 95 to 146 percent compared with normal climate conditions. 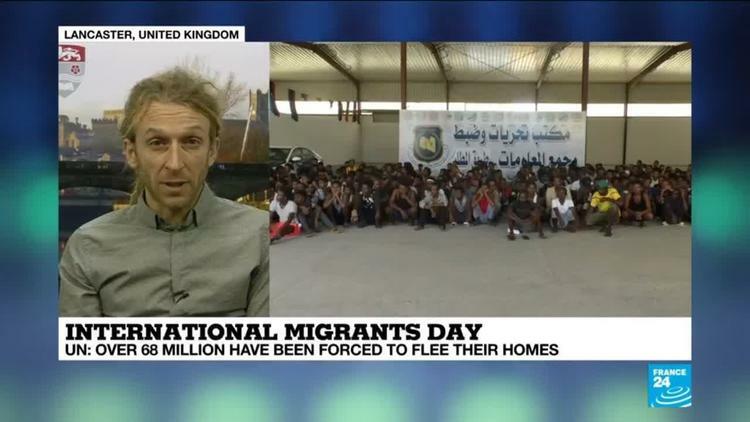 The research was motivated by the record influx of migrants into Europe, which peaked in 2015 with the arrival of more than 1 million asylum seekers. The study suggested migration pressures could be alleviated by better management of scarce resources such as water, as well as avoiding exploitation of ethnic differences, Muttarak said. “If you think conflict happens because of drought, you can probably intervene and not let the conflict happen,” she added.